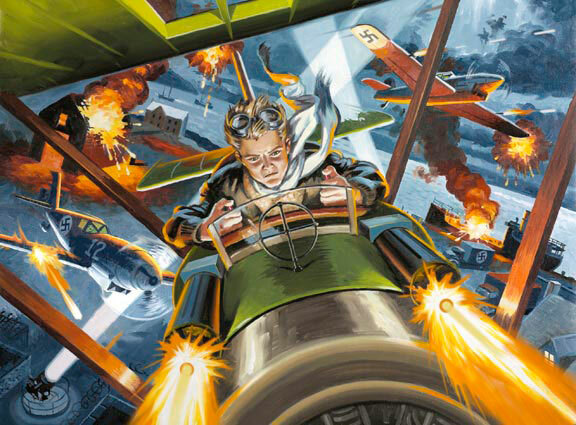 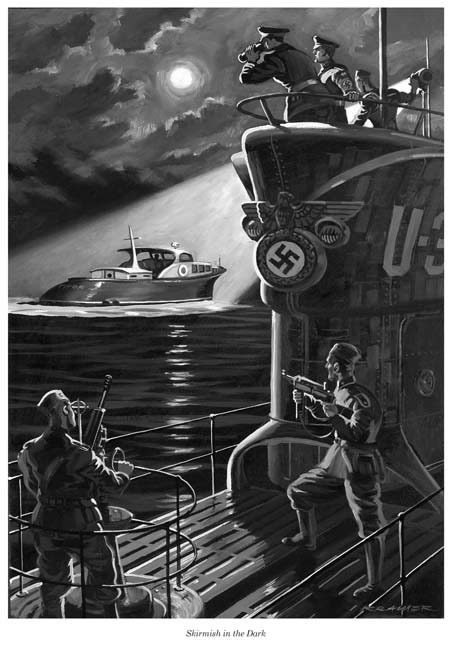 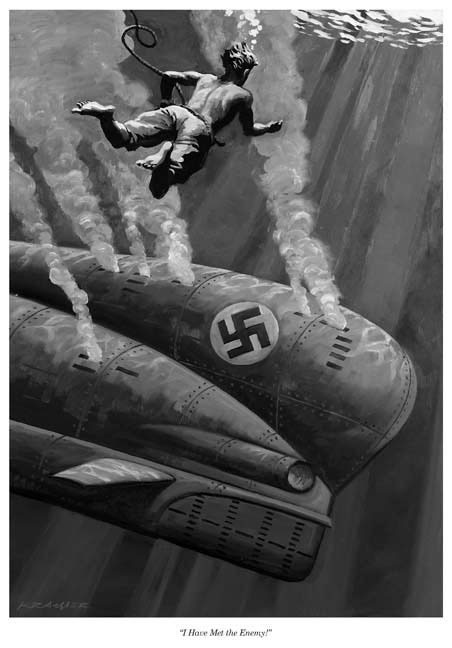 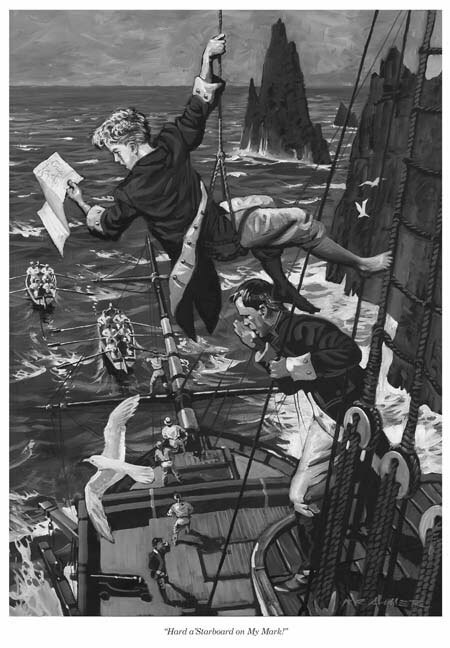 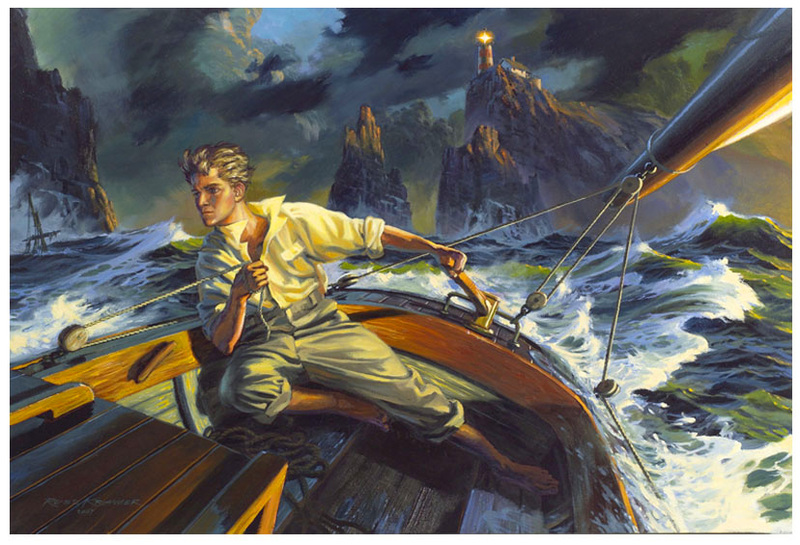 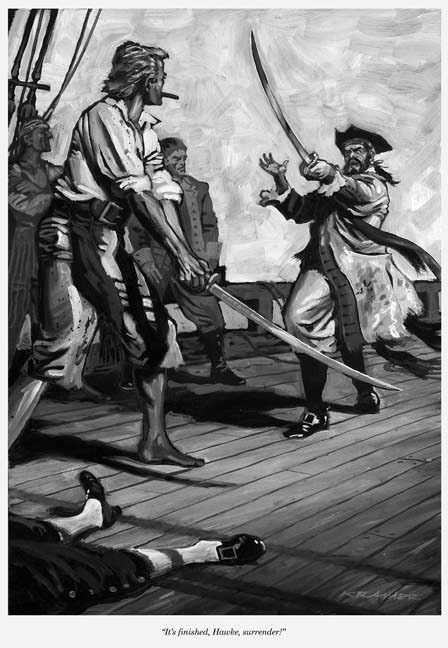 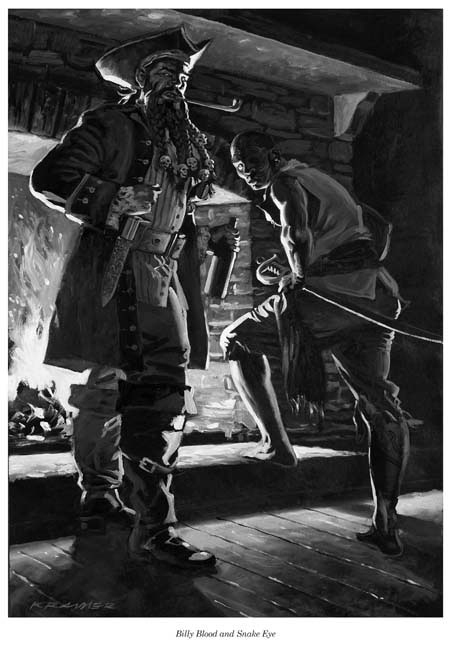 This painting was commissioned as cover art for New York Times best-selling author Ted Bell’s newest adventure novel, “Nick of Time” to be published by St. Martin’s Press in early 2008. 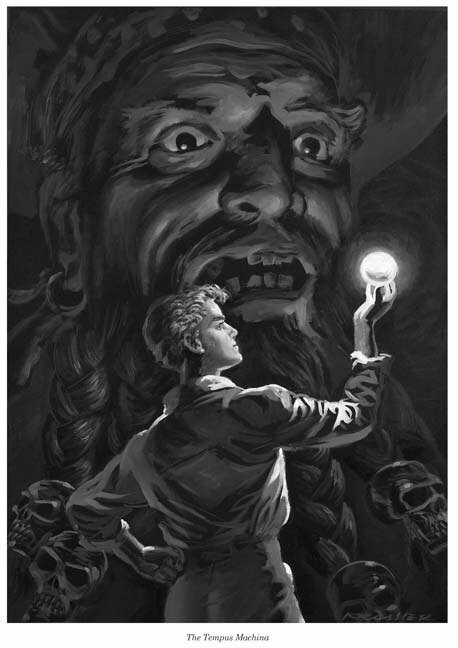 Russ used Ted and Page Lee Hufty Bell’s son Alex, depicted in his teens, as the model for the book’s hero, Nick McIver. 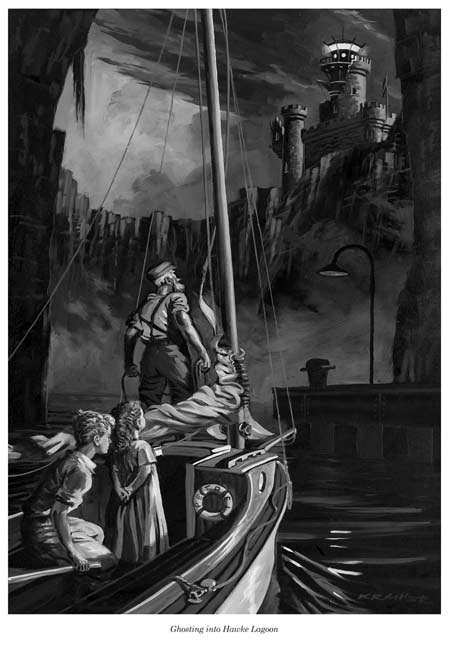 Nick is shown at the helm of his sloop PETREL, passing Gravestone Rock and the treacherous reefs known as the Seven Devils.